It’s a mantra that’s served actress Cicely Tyson her whole career, according to a new interview the 94-year-old gave to Time magazine in which she recalls her mother repeating the advice when Tyson would return home, dejected after not landing a desired role. 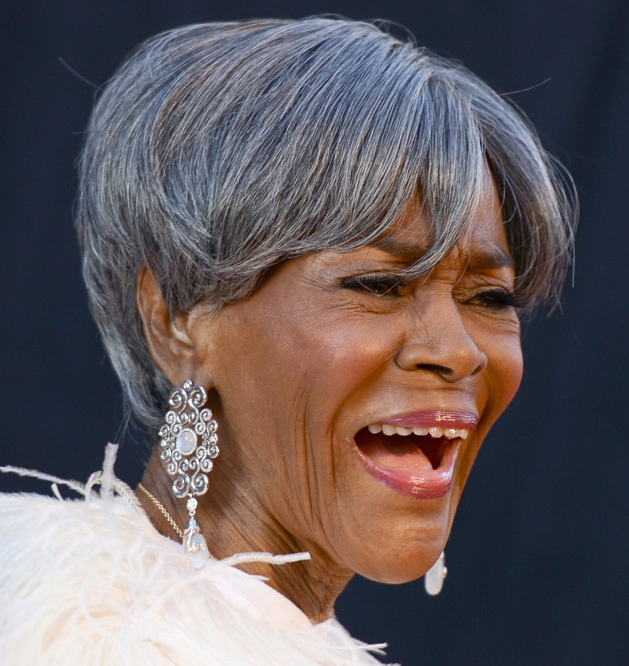 But now, nearing the mid-point of her nonagenarian decade, coming off her history-making honorary Oscar at the 2018 Governor’s Ball – she’s the first African-American woman to receive the honour – and still working steady, including her Emmy-nominated recurring role on the TV drama How to Get Away with Murder, Tyson is most certainly getting, as she would put it, what is for her. 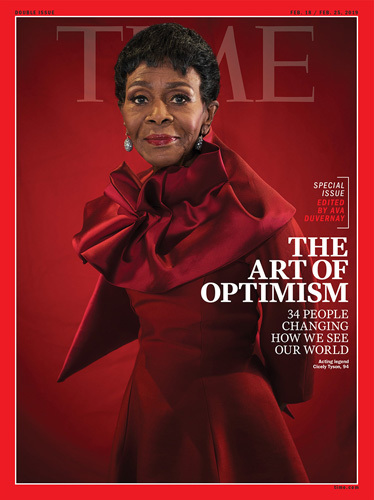 And as the cover subject of the Time issue that celebrates the “34 people changing how we see our world,” of which she is one, it’s Tyson’s inspiring argument for remaining positive-minded as we age that encapsulates the issue’s “Art of Optimism” ideals. Tyson appears on the Time cover in a stunning red gown and silver earrings, her hands folded behind her back in a relaxed manner and an expression that exudes the confidence of a lifetime of repeatedly proving her worth. And the stark redness of the image – Tyson’s gown, lipstick and the entire background – captures the mood perfectly. Red means stop, as in stop and recognize that Tyson is still here, still working and still one of the most relevant, respected, talented and stylish women in popular culture. Red means hot, as in the red-hot trail she continues to blaze for those who’ve come after her. Red means passion, like the passion Tyson brings when she commands a stage or screen or crowd, as she did last August with her moving tribute at the funeral of the Queen of Soul, Aretha Franklin – a reworking of Paul Laurence Dunbar’s poem “When Malindy Sings.” Red means courage, as in the courage Tyson’s shown her entire career, breaking barriers and shattering glass ceilings. And red means love, as in the reverence her fans and peers hold for her. Selma and A Wrinkle In Time director Ava DuVernay, who guest-edited the Time issue and made the call to put Tyson on the cover, also helped honour Tyson at the 2018 Governor’s Ball by asking various African-American performers and filmmakers to sum up the actress in one word. They included “nobility personified” from Oprah Winfrey, “a treasure” from actress Taraji P. Henson, “ground-breaking” from actress and singer Amandla Stenberg, “legendary,” from TV producer and writer Shonda Rimes, “our muse” from Oscar winner Viola Davis and “flower” from DuVernay herself. So how does Tyson, who notes in the Time interview that she has no plans to retire, absorb the impact she’s made on the lives of so many others? “When I made the decision to use my career as my platform, to try to make a dent in some of these injustices that I witnessed and experienced in life, I said if just reach one person, one person, then I will be happy,” she says in the interview.